Hi, and welcome! LGBTQ Reads is a site dedicated to promoting curated LGBTQIAP+ literature for all ages, run by author and blogger Dahlia Adler. Check out the FAQ to answer some of the more basic questions about the site, and for information on contributing, please see the Blogging Policies. Also, please note that while all content on the site is as informed as possible by reading and research, if you are an author who feels your book is miscategorized, please do not hesitate to get in touch; all requested corrections will be made ASAP. Similarly, if due to a transition you would like your author name corrected on a list, please let me know and I will happily make that change. 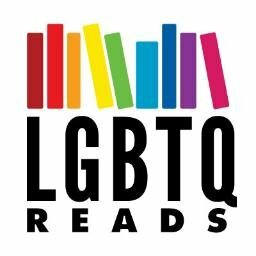 The lovely LGBTQ Reads logo was created by Meg Morley. Please note: LGBTQReads is a participant in the Amazon Services LLC Associates Program, an affiliate advertising program designed to provide a means for sites to earn advertising fees by advertising and linking to Amazon.com.